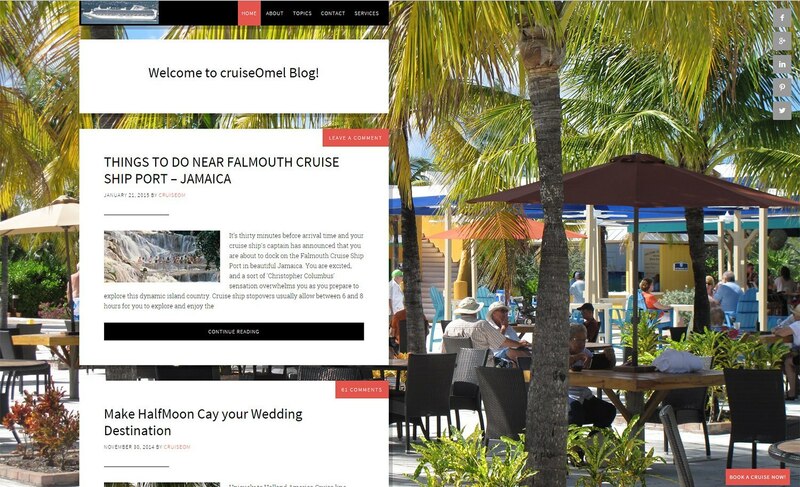 The Cruise-O-Mel website design project consisted of a request for a simple yet powerful travel blog that was easy to update often, could be updated with posts and images while traveling using a smart phone just as easily as a laptop and was both secure and mobile friendly in Google’s eyes. We chose a simple blog style design with easy to change images that Mel could update as easily as writing an email. This type of website is ideal for any blogger or small business that has a steady stream of information to divulge and is interested in marketing their product or service easily and effectively and dose not want to have to hire anyone to make changes to any part of the design. This website style is also very affordable!